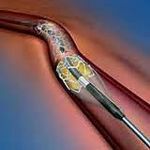 The Asia Pacific interventional cardiology market will grow at a strong average rate of 12% per year through 2017, with growth driven by China, a new report claims. Most of this growth will come from increased numbers of procedures in China and India, while procedural growth in Australia and South Korea will be flat, according to Millennium Research Group. Competition and reimbursement restrictions will push average selling prices (ASP) down in all national markets. The United States and Europe will also see flat procedural growth and declining ASPs. As a result, manufacturers are looking to India and China for market expansion and revenue growth. Both countries have a large population base with increasing disposable incomes and increasing rates of diseases such as coronary artery disease (CAD), diabetes and hypertension that increase the number of required coronary interventions. There are a number of obstacles to expansion in these markets, however. China, for example, has a number of strong local competitors, with the majority of revenue going to local companies such as Ji Wei and Lepu Medical. Local companies tend to offer considerably cheaper devices, and have good long-term relationships with hospitals and doctors. Foreign companies are increasingly making attempts to level the playing field in China by creating local manufacturing, local training centers, expanding their sales force, or through mergers and acquisitions. Prices in China will continue to drop as the government increasingly relies on local tendering systems to control costs. Sources indicate that it is planning to cut DES prices by about 15 percent in the near future. Millennium Research Group’s Asia Pacific Markets for Interventional Cardiology Devices 2013 report includes unit, installed base, average selling price and revenue information, along with market drivers and limiters and competitive landscape for coronary stents, percutaneous transluminal coronary angioplasty (PTCA) balloon catheters, and accessory devices sold in Australia, China, India and South Korea.